The colour of the fruit turns from green to red when ripe. Each plant produces around 10 fruits. The elongated fruits have a delicious sweet taste and contain a great deal of vitamins B and C and various minerals. 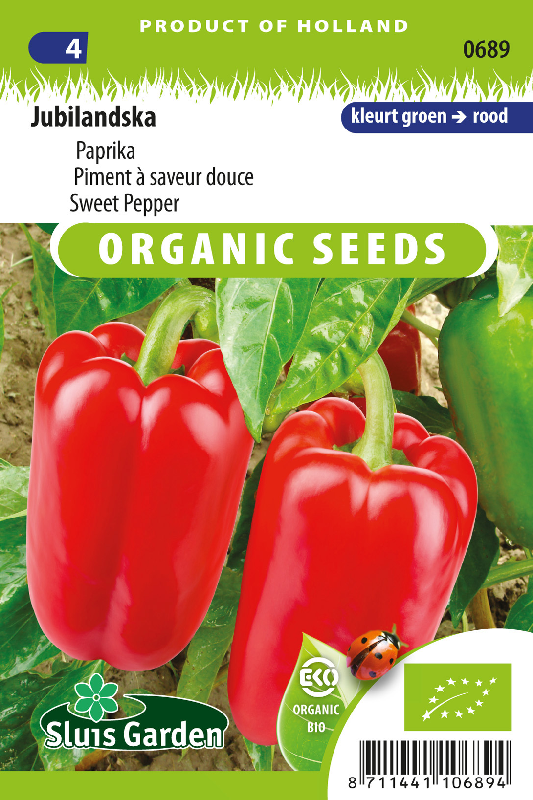 Sow in a greenhouse in a seedbed or directly in 10 cm pots. After emergence prick out and later transplant to an unheated greenhouse or outside to a warm, sheltered spot. 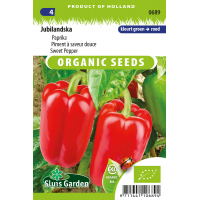 Also suitable for cultivation in pots and boxes. Height in greenhouse approx. 1.00 m and outside approx. 65 cm.